The Charlie Brewer Spider Wide Gap Pro Slider Heads are ideal for larger plastics where an Extra Wide Gap hook is needed. When fishing around vegetation or wood the Spider Wide Gap Pro Slider Head allows for a weedless rigging which reduces snagging and ease of sliding in and out of cover. 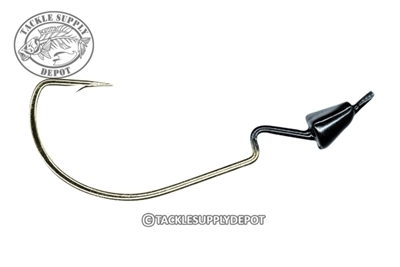 This original design features a stout Mustad Ultra Point Black Nickel hook that won't fold under pressure.